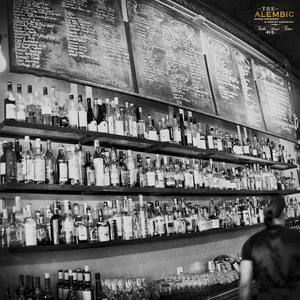 The epic wall o’ booze at The Alembic. Photo used with permission/courtesy of The Alembic. Just a quick note for my fellow fans of the jerk-spiced duck hearts and bone marrow and other tasty vittles at ~THE ALEMBIC~ in the Upper Haight: it ends up the kitchen’s last day of full lunch and dinner service is this coming Sunday January 19th, since they are starting construction on the restaurant’s expansion into the space next door. To recap, The Alembic is expanding into the former Red Vic Movie House space, sharing some of the real estate with the soon-to-open Second Act Marketplace (more on that soon!). They’ll still have a full cocktail, spirits, and beer list on offer, and will serve bar snacks (i.e., items that don’t require cooking) from chef Ted Fleury during all operating hours throughout kitchen construction. The bar will open at 4pm on weekdays and 12pm on Saturdays and Sundays, closing at 2am nightly. I’ll keep you posted on construction progress and when it looks like the restaurant will be up and running again.